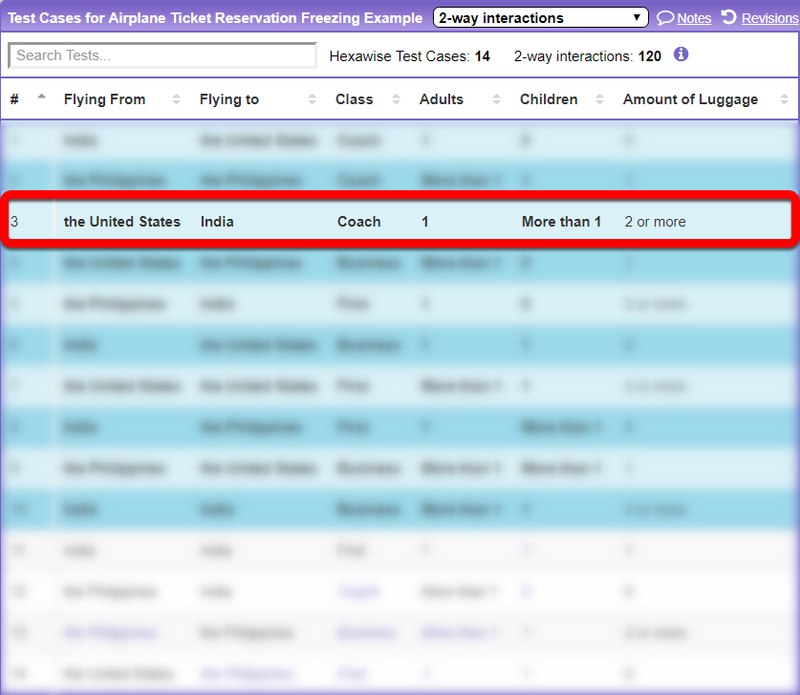 What if we want to test an Airplane Ticket Reservation scenario, but need to edit it after completing some testing? First, we must write our parameters, and create the tests. 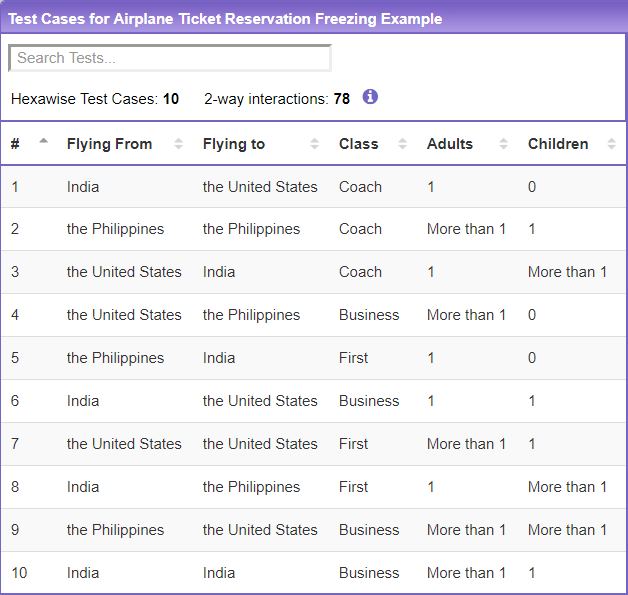 After going to the Test Cases screen, here's what our tests look like. On the Create Tests screen, click the "Freeze Tests" button located in the top-right just above your first created test. You will be faced with the following warning message, reminding you that freezing your test cases should only be done when there is a valid reason to do so. 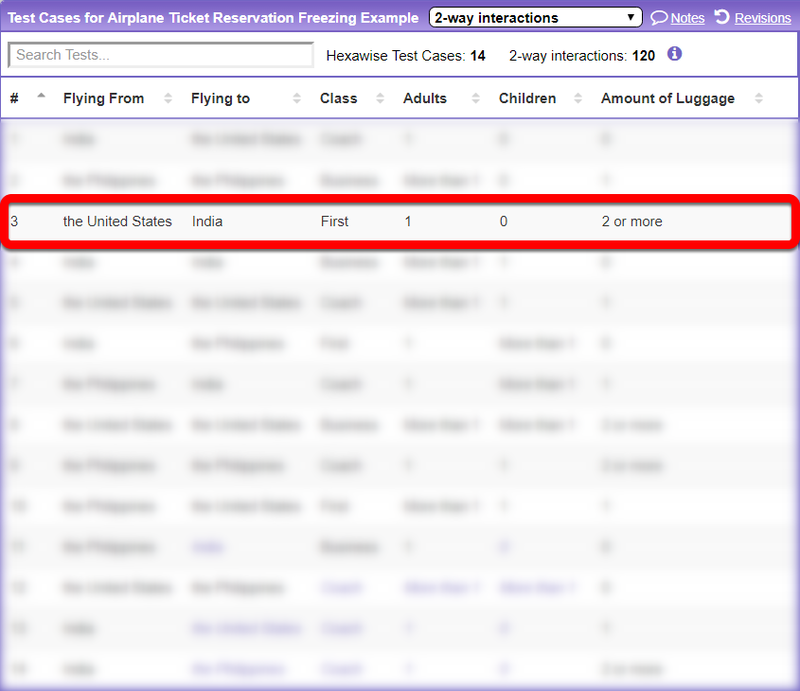 If there is a valid reason to freeze the tests and you do wish to continue, click the "Freeze" button. 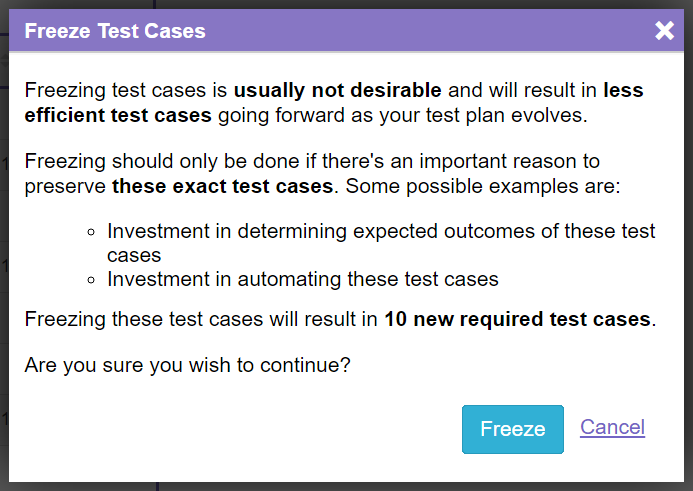 Once you click "Freeze," your existing test cases will be "frozen" as requirements. Here's what the Requirements page looks like now. All of our tests have been "frozen" as Requirements! Let's add another parameter, "Amount of Luggage". At this point, we may have already run some of these tests, so we don't want to have to re-do any tests, even if Hexawise could reduce the total number. By freezing the previous 10 tests, Hexawise will keep them as they are, and simply add a couple tests to pair all of the new values - the numbers of luggage - with every other value. Here are the new tests. 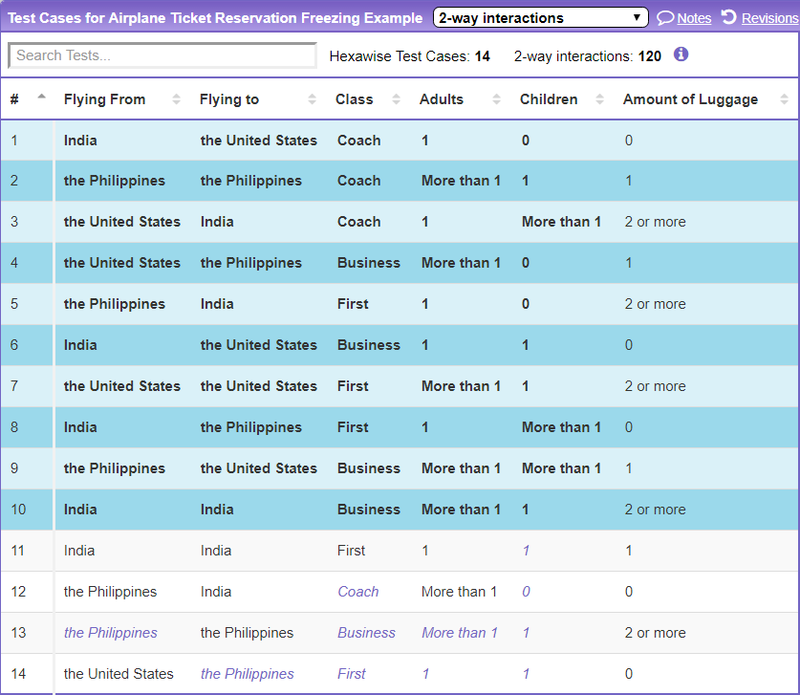 Note the initial 10 tests are still present. We've simply added a few more tests. Here's what our tests would have looked like if we had not frozen our initial 10 tests. Therefore, we would have needed to re-run our initial tests. What if we want to "unfreeze" our test cases? Easy! We can do so by navigating to the Requirements page and simply clicking the "Unfreeze Frozen Test Cases" button, as shown below.